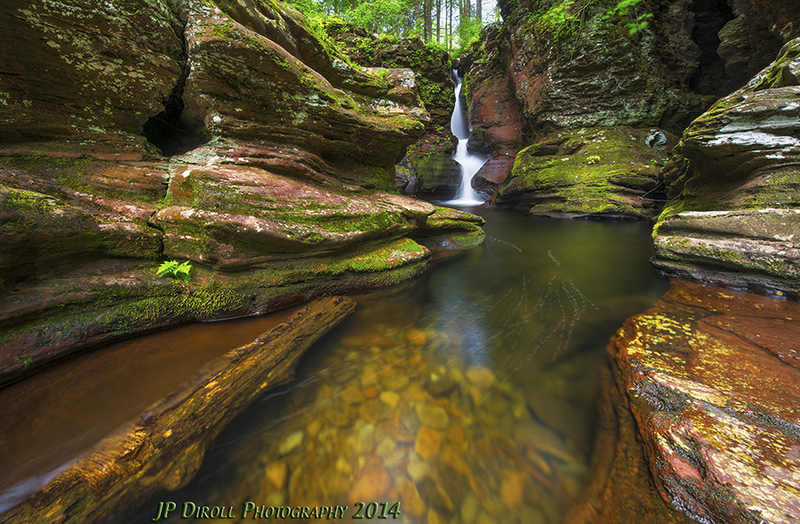 Welcome to the first edition of “Photo of the Day” here on the JP Diroll Photography blog. My plan is to write a little blurb about a photo each day (almost 😉 I’m sure there will be days here and there that I’ll miss) and post it to to my social media sites as well as here. To that end, I want to take a minute to thank all of you for the support for this idea. I had mentioned on my Facebook page about the possibility of doing this and the overwhelming majority of you essentially said…”Go for it” or “I’ll definitely check it out.” So again, thank you! I hope you enjoy this endeavor. Without further ado, here is my first photo of the day (POTD from here on out!). As it turns out, today is Thursday, but you all know that! What you may or may not no is that Thursday is a widely considered “Throwback Thursday,” or TBT, on many of the social media platforms, especially Facebook and Twitter in my experience. So I decided I’d kill two birds with one stone and make my very first POTD my very first TBT as well. The photo you see above is called Winter’s Light. It was taken on a very cold, snowy Saturday in January. The reflection is surreal. The sky is full interesting clouds. And that light illuminating the Andy Warhol Bridge, well let’s just say I’ve never seen light so beautiful on that bridge since then. And I spend a lot of time on the North Shore, and I do mean a lot! Now I’ve shared this image a few times before across my various social media outlets, and if you’ve ever gotten a business card from me then you’ve certainly seen this photo. It’s kind of my brand, if you will. And for good reason. It holds a very special place in my heart. It is the first photo I received a great deal of attention for and gave me the confidence to continue down the path of becoming a photographer. It made me want to MAKE photographs instead of TAKE photographs. It ultimately helped my vacation become my vocation…or is it the other way around 😛 ? For me it’s a bit of both! Ever since this photo, it’s been pretty much full throttle and I don’t intend on easing up off the pedal any time soon. I want thank each and every one of you reading this for the support and I hope you’ll join me on the ride! What does any of this have to do with photography and how do fictional heroes relate? We’ll get there soon, I promise, but for now just a bit more back story. 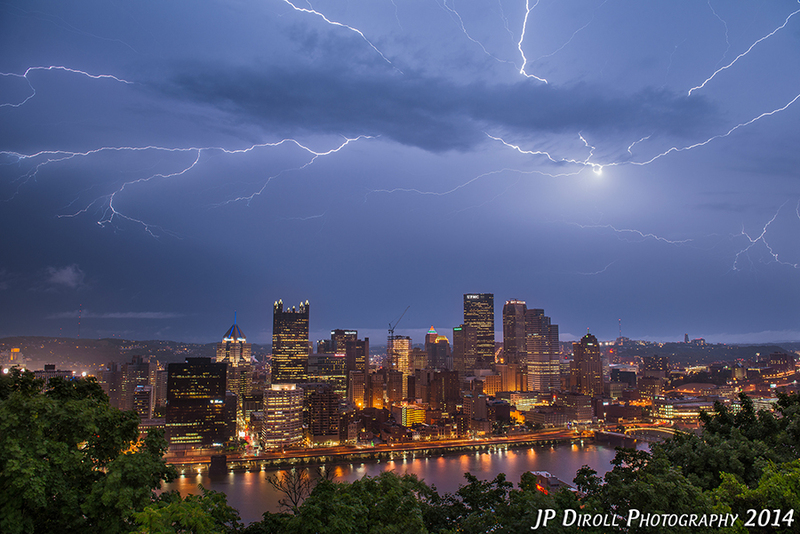 Last month some wild storms came through the city of Pittsburgh. 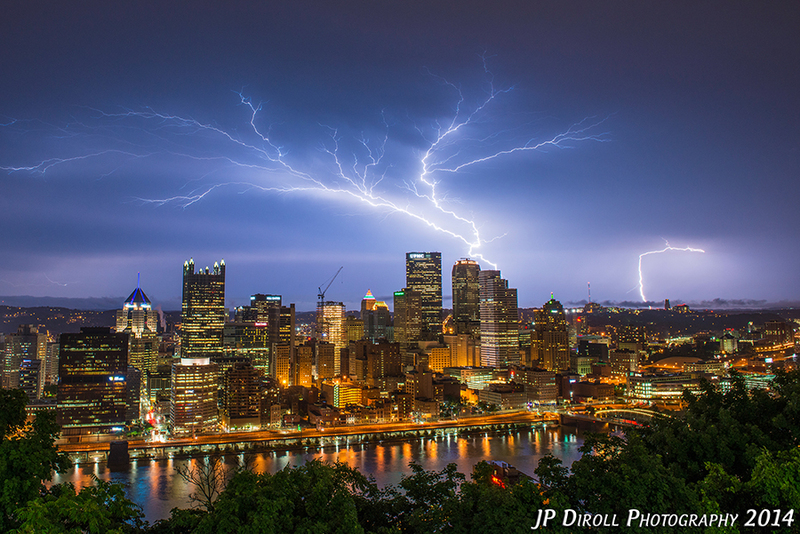 It’s always been a goal of mine to capture some excellent streaks of lightning over the skyline. 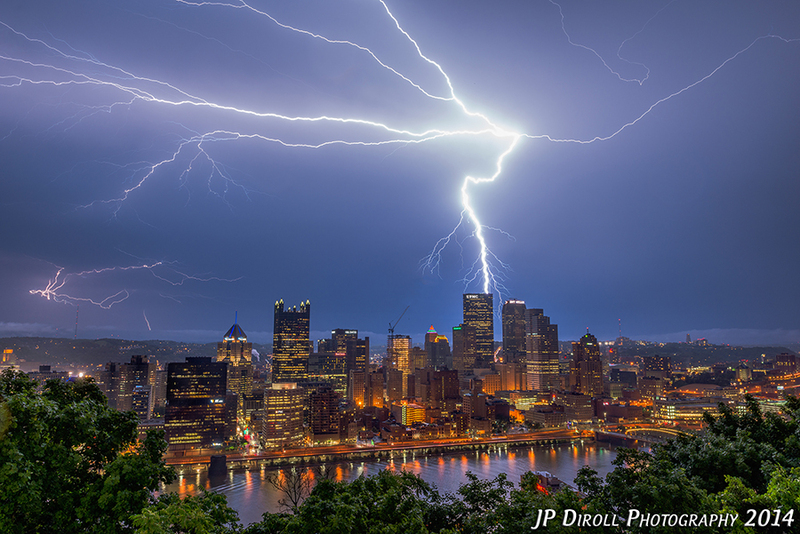 It was my number one “bucket list shot” in terms of Pittsburgh photography. I’ve made several attempts but to no avail. My next opportunity came late one evening last month. I got a call at 11PM while I was sound asleep. Much to my chagrin, I answered. Barely. On the other line was my cousin, “JP, work can’t wait. The lightning is going crazy!” Begrudgingly I got my hind end out of bed and headed out the door. Luckily I keep my camera bag packed and batteries charged for just such an “emergency” situation. 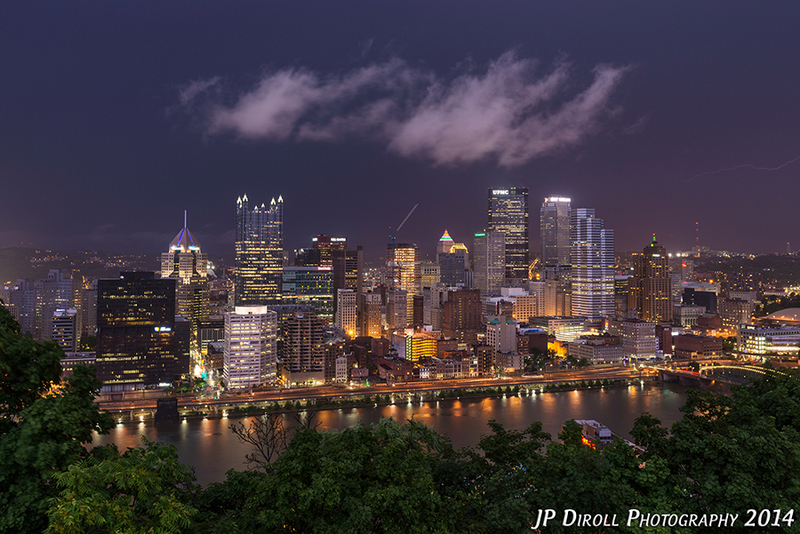 I spent the evening and wee hours of the morning atop Mount Washington with my camera set up watching the clouds illuminate ever 2 to 3 seconds. It was really cool but there was one problem. All the strikes were about 30 miles north and completely blocked by the clouds. Another unsuccessful opportunity. Luckily for me though, I’m persistent. The very next day more storms were being called for. 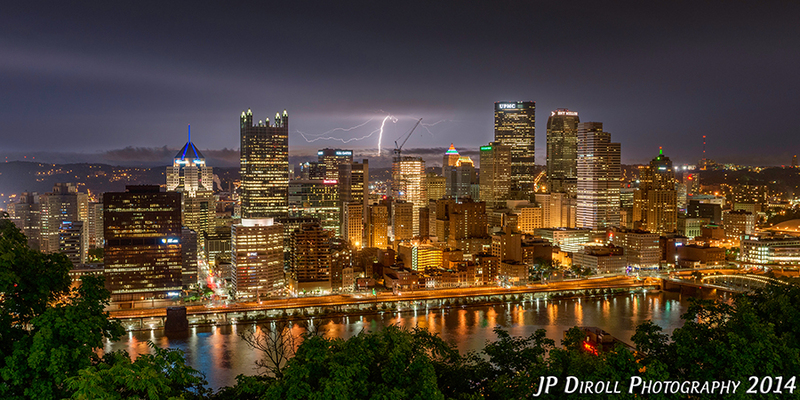 I was in town just leaving the Pirates game when I saw a few flashes of lightning. Aha! I called my wife and let her know I’d probably be home later than planned and headed back up the mountain. I staked out the perfect spot and got my camera situated with the right settings, the perfect composition, and a rain sleeve. I was expecting the best but prepared for the worst. Guess which one I got! A few strikes behind me really lit up the clouds and building nicely. Before the lightning moved over the city, though, sheets and sheets of rain fell upon me. My camera was mostly protected but I just couldn’t risk my gear. I was packed up ready to head home when the worst really happened. I shut my back car door and my wedding ring flew off! It was dark and raining terribly. I knew the ring had rolled into gutter where the water was rushing rapidly towards the sewer. Right about then I started wishing I myself were a superhero. What powers would I need? X-ray vision to help me spot the ring? Maybe. Super-human strength to smash through the grate to get into the sewer? Probably. The ability to control metal with magnetism? That would likely help. Deep down, though, I knew I’d need Wolverine’s power. See Wolverine has the power to heal himself and I knew that would be most helpful because, well, my wife was going to KILL ME! Out into the rain I went. I was soaked, absolutely soaked. After 1o minutes of looking in the gutter, under my car, under the car in front me, and in the middle of the road I was ready to give up. I got down on my belly one last time and looked up the road. There it was! Sitting right next to my car. Apparently in the moment I dropped the ring I did have they ability to control metal because there is no other explanation on how a round object dropped on a downward slope doesn’t roll anywhere! I wasn’t complaining though. By this point, I was sopping wet and that wasn’t changing anytime soon. I really had no other choice but to stay out and give another shot at catching those lightning bolts. I’d been through so much already, what was the worst that could happen, short of electrocution? This is when the best happened. The rain tapered off and the lightning moved right on in. It was the most intense and beautiful display of nature’s power I’ve ever witnessed in person. I stood there, sopping wet, but happy as could be. Every few seconds there were bolts, not just one but many bolts of lightning stretching out across the entire sky. I’d open the shutter, review the image, the click then shutter again for the next bolt which I knew would be coming soon. The best of the evening are below, and if you look closely you might just see an unsuspected visitor. A visitor from Asgard, a world very far from here. A world home to Avenger and Norse God of Thunder. A world home to the mighty THOR! Well, well, well. Look who’s back to blogging. Good grief it’s been a long time. Shame on me, I know, but it has been a crazy couple of months. But crazy in a good way – lots of shows, lots of shooting, and lots of travel. Just not lots of typing 😦 Today, hopefully, changes all of that with a kickstart to my kickstart project. 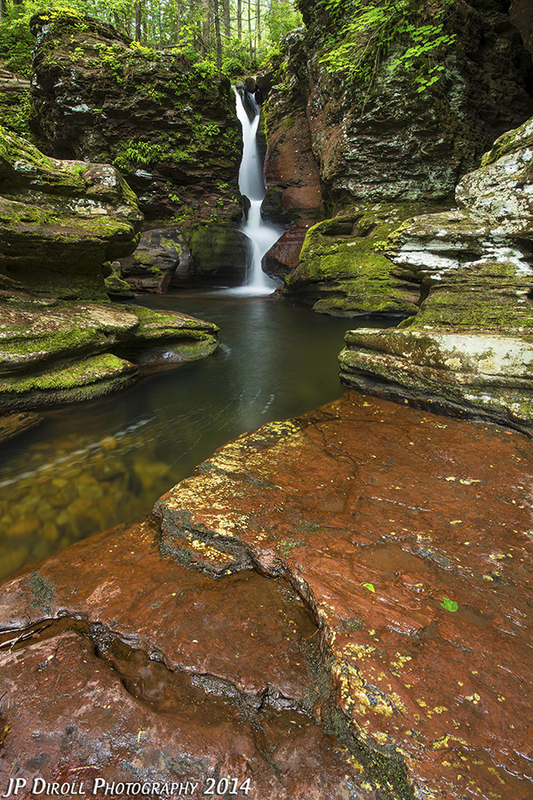 Normally, I’d share photos from last Monday, but I just got back from a weekend up at Ricketts Glen State Park in northeast Pennsylvania. This place is renowned for it’s waterfalls and it certainly does not disappoint! Below the “real” Adams Falls is a slightly less interesting, albeit beautiful cascade and large pool. I started off the morning down below the falls. There were a few folks hanging out above, near the top left corner of this frame, so I opted to go below. 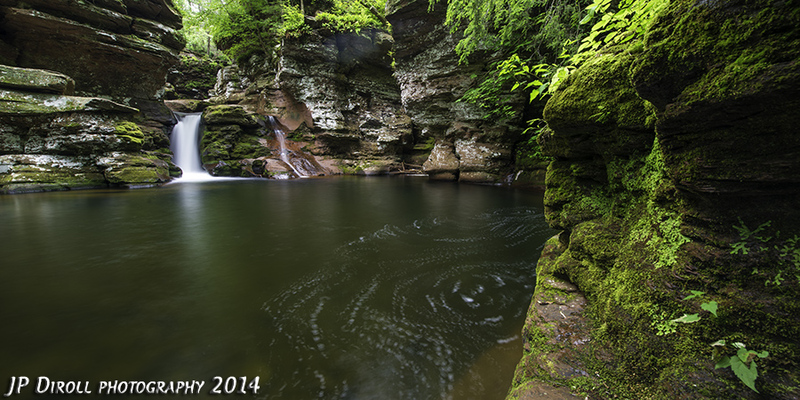 I spent a good hour down around this spot exploring my different compositions and focal points. There was lots of foam swirling in the pool, and you can see present here, but I wasn’t quite getting what I wanted. I decide to hop on to the ledge you see to the right in the photo above. Now I have done some pretty stupid things while out taking photos, namely sitting right on the edge of the Grand Canyon. A slippery ledge above only a few feet of water should be no problem. But this made me particularly uneasy. Especially getting off. I don’t know why. The water was only about 3 to 4 feet deep so it wasn’t going to harm me if I fell in. Perhaps, though, it was because I was holding my camera in one hand and stepping onto a very slippery slope while holding onto to a very slippery rock/tree branch with the other. If I slipped, my gear would be ruined. But I didn’t slip and my camera remained dry. Phew! After all that, you can see the photo below that I got. Was it worth the risk? Maybe, but it certainly isn’t my favorite from the location. After finishing up below, I was ready to pack it in. I hiked up the “steps” to explore a bit more. And I’m glad I did. I don’t know how, but I almost forgot about the upper falls. It was probably because there was a pretty steady stream of folks up above and I’d written off the idea that I’d get any photos without people in them. Upon steeping out onto the rock you see in the top left corner above, though, it was empty. Nobody was around so I took advantage, and with great results I think. 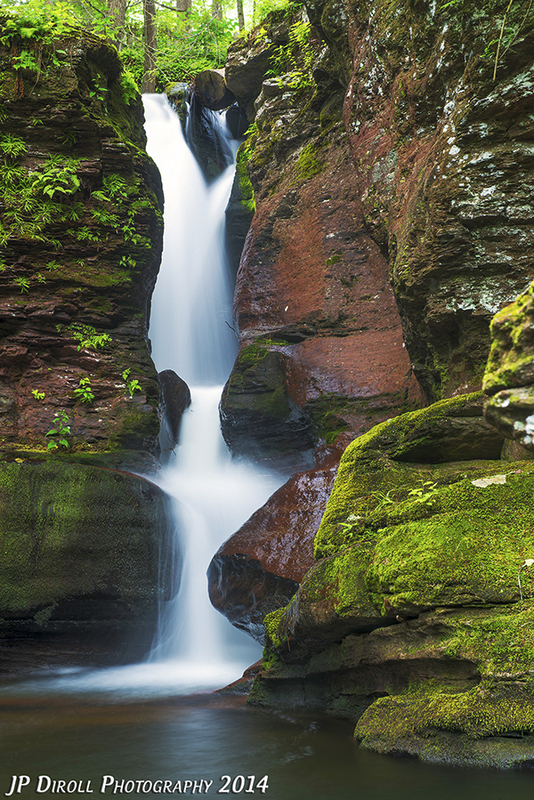 The stone and falls at Adams Falls are simply breathtaking. There are so many lines and compelling compositions, you could spend days there and not catch them all. The light was great too. It was overcast so there was a nice even, diffused light cast upon the rocks and water. It truly is a photographer’s dream. So I took about two hours and really worked the scene. 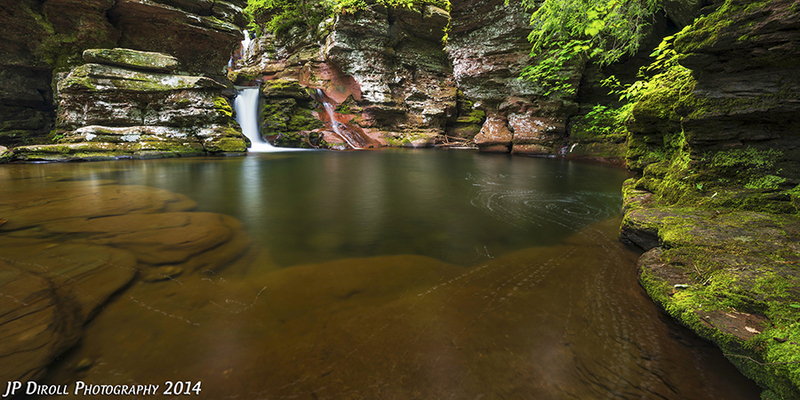 I walked away with a number photos that I’m incredibly pleased with and since words won’t do it justice, I’ll quit the chatter so you can see the beauty of Adams Falls in Ricketts Glen State Park for yourself! Enjoy! Adams Falls in all its glory. Close up and personal. This is probably my favorite image of the weekend. Look at all those beautiful lines!